Our CEO, Jim Burke, recently mentioned seeing a driverless Uber car pass him while he was waiting to cross the street in Pittsburgh on his way to a meeting. That image triggered a realization how quickly technology is driving most industries – including workforce management – through an accelerated transformation process. I’m old enough to remember when picking up a phone (landline) and calling a taxi was the norm. What was once a manual process has been automated with ride sharing apps – creating loads of data (note: Uber estimates it manages 1 million rides a day) to make better decisions connecting passenger to driver in the most efficient manner. Now, the driverless Uber image signaled just how much closer we are getting to prescriptive workflows. Soon, driverless cars will be summoned, already forecasting where its passenger is heading based on prior ride information, time of day, pick-up location, and many more data points…it’s virtually right around the corner. What was once considered “futuristic” is actually happening. Ten years ago, the term Artificial Intelligence (AI) may have generated visions of hoverboards and flying cars more than it did backend organizational tech. Yet, AI has evolved greatly in the last decade, transforming nearly all industries from retail to healthcare, pharma, food & beverage and more – and for good reason. Descriptive Analytics, uses data coming in real-time, as well as historical data for insights on how to approach future decisions. It basically describes what has already happened. Predictive Analytics, combines machine learning, modeling, and other technologies and applies them to vast quantities of data to identify patterns and trends to uncover what might result in the future. Prescriptive Analytics, takes predictive analytics one-step further by using optimization and simulation algorithms, in real time, to take action – and define the future. Global organizations are leveraging AI today for automation-driven processes that foster more efficient operations; HR and procurement professionals are taking notice. While the tech is still new to our industry – only 15 percent of HR leaders already use AI – 40 percent expect to leverage the tech within the next five years. Of course, AI is still a relatively new addition to the workforce management industry, but it can greatly enhance the hiring process by promoting more streamlined, strategic strategies that join gig workers, suppliers and managed service providers (MSPs) to hire the right talent, at the right time. HR and procurement leaders still rely heavily on manual processes to find, hire and manage contingent labor. Unfortunately, this may bring inefficiencies and opportunities for oversights into the hiring process, exposing organizations to industry- and geographic-specific compliance and regulatory risks, and may also lead to costly delays, talent shortages and even passing up on the right candidate because a resume was lost in the literal shuffle of paper and digital noise. Traditional, reactive hiring methods that leverage conventional data analytics can only take hiring teams so far. Analytics can only depict past hiring patterns and behaviors – not provide a forward-thinking view of how to better understand and anticipate contingent labor needs. In fact, 37 percent of respondents in a recent Deloitte report said they expect growth in the use of contractors, 33 percent in the use of freelancers and 28 percent in the use of gig workers. However, only 16 percent have an established set of policies and practices in place to manage a variety of worker types. In 2018, when digital reigns, AI provides an intelligent solution for organizations that want an easier, faster way to hire and manage contingent labor. AI is having a significant impact on the workforce management industry by fostering a more predictive hiring environment – and it’s impacting how we are delivering services today and how we are investing in the development of our roadmap at Workforce Logiq. We are using, and further developing AI to reshape talent acquisition and retention by making the process more proactive and efficient, enabling organizations to find and match the best candidates for the job. At Workforce Logiq, we are using advanced AI and machine learning within our candidate “match” algorithm to identify and prioritize the best candidates before sending them to our clients for review. For example, we automatically convert every CV into a searchable candidate record that can then leverage semantic search technology to more effectively match the meaning of the candidate’s content with the intent of the job requisition. That means candidate matching can include both fact-based requirements, such as years of experience and education, as well as softer characteristics, such as cultural fit. Our expert advisors are then able to define talent pools using ranking algorithms to prioritize candidates based on requisition match – and suitability. Human-based review can then focus on the most likely candidates to meet client expectations – cutting down on their review time – and ultimately, the time to fill. Our clients, including our largest, global partners, are leveraging this technology on a daily basis. And, we’re investing in prescriptive technology and workflows to anticipate our client hiring needs and advise on the right candidate and candidate type (contingent vs. full-time) at the right time and the right cost. Investing in innovation that simplifies and speeds up the hiring process is crucial for winning in today’s competitive talent environment. That’s because, AI capabilities not only allow teams to make hiring decisions faster, but it also enables HR and procurement managers to focus on more creative, strategic planning that fosters efficient operational processes, employee retention and a stronger bottom line. AI has arrived and is making an impact in the workforce management industry. Continuing to invest in AI is a crucial step for hiring managers who want to enable enhanced levels of control, automation and visibility in the contingent workforce management market. While still considered an emerging technology by many, AI has already and will continue to shape global hiring processes for a streamlined workforce management operation. Forget about hoverboards and flying cars: AI is here and will continue to make hiring and procurement teams’ jobs that much easier. HR and procurement teams should use an intelligent workforce management solution to hire the right talent, whenever and wherever needed: Read more about Workforce Logiq’s investments in AI in Workforce Logiq CEO Jim Burke’s conversation with Spend Matters. 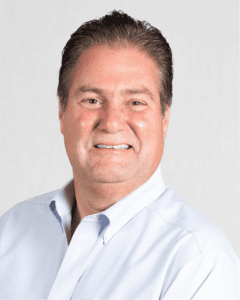 Frank DeArmas serves as Chief Information Officer of Workforce Logiq, and provides overall strategic direction to Workforce Logiq’s industry-leading technology, analytics and informatics solutions across the company’s global operations in the Americas, Europe, and Asia. DeArmas leverages his 25+ years of information technology experience to provide our clients with enhanced levels of control, automation and visibility to ultimately become smarter users of their extended workforce, optimize spend, mitigate risk, increase performance and make informed business decisions.